Will the Original Mix and Sequence Ever Be Restored? When a band has a lengthy and successful career, there inevitably comes a point where a refresh and re-release of the back catalog comes up in discussions with the record label. We’ve seen this happen with Queensryche and Capitol Records on numerous occasions, most notably with the remastered editions of the original lineup’s albums in 2003, and various re-issues of Operation: Mindcrime and Empire since then. Those iconic albums have rightfully earned the special attention they get. But there is one marred and forgotten gem in Queensryche’s 1983-1997 discography that still begs for a proper deluxe overhaul—The Warning. After Queensryche and producer James Guthrie (Pink Floyd) signed-off on the final mix and running order of The Warning in summer 1984, EMI Records, unbeknownst to the band, had engineer Val Garay remix the album. * The altered mix—which is the one we’re all familiar with today—made the drums more prominent and lowered the rhythm guitars (a style of mixing popular at the time). Garay was also told to shuffle the songs so that the lead single, “Warning,” would be the first track on the record. 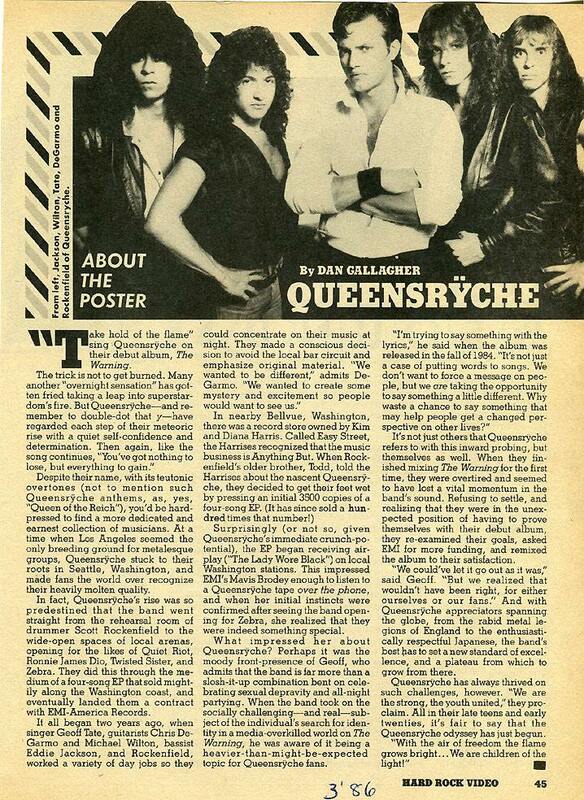 Queensryche received word of the changes in early August 1984, about a month before The Warning’s release, while on the road in Japan. According to a former crew member, the band was "crushed" at what EMI and Garay had done. 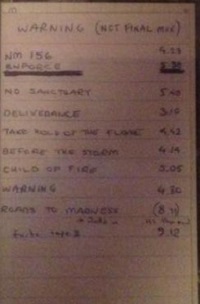 The track order that the band and Guthrie intended featured "NM 156" first, with "Warning" preceding "Roads to Madness." The latter song ends on the same sound effect/note as "NM 156" begins with, giving the record a circular presentation. In addition, "Deliverance" and "No Sanctuary" were flip-flopped, so the latter track was #3 on the record, and "Deliverance" was placed right before "Take Hold of the Flame." This year marks the 35th anniversary of The Warning’s release. Shouldn’t Queensryche’s proper vision of the album finally be realized? Sure, it isn’t difficult to re-sequence the songs in your media player so that the songs are in the right order. But in an era where deluxe editions and re-releases of records is commonplace, it wouldn’t be that hard to put together a special edition of The Warning featuring a remixed and re-sequenced disc. 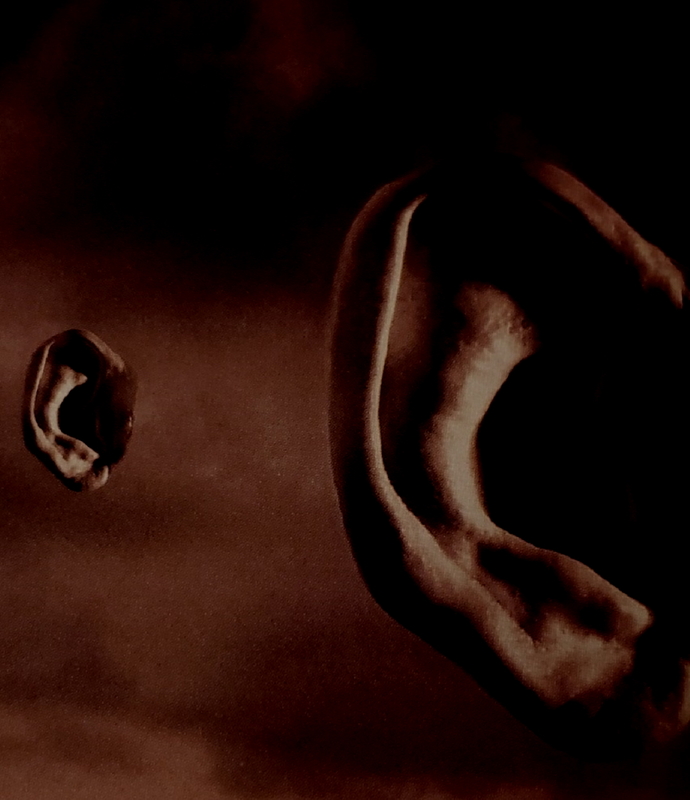 The master recording for The Warning exists, having been transferred from tape to digital during the 2000s, and both the label and the individual band members have digital copies it. In addition, guitarist Michael Wilton said that he, and some of the other band members have their cassette copies of the original mix of The Warning they were sent to approve 35 years ago. That cassette could easily serve as a guidepost for a new mix. So, what’s the holdup on giving The Warning the royal treatment? Money always comes to mind as a potential barrier. And yes, getting someone such as Guthrie, James “Jimbo” Barton (of Operation: Mindcrime, Empire, and Promised Land fame), or Terry Date (who mixed “Justified,” the last track released by the original lineup of Queensryche, and who has engineered, mixed and produced huge records by Soundgarden and Pantera) to remix The Warning won’t come cheap. But the rest of the project wouldn’t break the bank. For example, let’s say the idea for this release is a double-CD set featuring one disc with the original album and some expanded live tracks from The Warning tour, and then a second disc with the remixed/re-sequenced version. What goes in the set? A 24-page booklet with new liner notes, some old live photos from 1984-1985, etc.? That’s not a significant investment of dollars, just time. Sure, production costs would be a little higher than a single CD, but it isn’t a new album, and so there isn’t any studio time to pay for. In addition, depending on the budget and availability of the video masters (the rumor is the master has been lost, unfortunately), Capitol Records could also consider packaging Live in Tokyo show with The Warning, as a bonus DVD. Live in Tokyo was shot at the very beginning of The Warning tour and put out on VHS in 1985. Fans have been clamoring for the label to put that on DVD since it went out-of-print in the early 1990s. The bottom line is, I have to believe, particularly given that so many other bands with a lower profile than Queensryche who do these sorts of things, a venture like this is doable and profitable. Consider the penchant for nostalgia in the current marketplace. The Warning is a watershed moment in hard rock history. Released on September 7, 1984, Queensryche’s debut album combined vocalist Geoff Tate’s progressive rock interests and operatic delivery with the heavy metal influences of Chris DeGarmo, Eddie Jackson, Scott Rockenfield, and Michael Wilton to help define the early beginnings of a rock subgenre that most reading this are all familiar with today: “progressive heavy metal.” Simply put, if marketed correctly, the heavy metal community would eat it up, helping the label recoup its overhead costs and then some. Wilton admitted a few years ago that no plans were imminent to do anything his cassette of The Warning’s original mix, other than to transfer it to a digital format before it oxidizes due to age and becomes unlistenable. However, the rights to the master recordings of The Warning are owned by the label, not Queensryche. Therefore, its ultimately Capitol Records’ decision to tackle any sort of reissue of the disc. Thirty-five years is a long time to live with such a huge mistake on a genre-defining album. It’s high time that Capitol Records and Queensryche finally give The Warning the facelift it deserves. * Editor's Note: An old article from The Warning time period suggests that it was the band, not the label, who made the decision to have the album remixed before it was released. I find that to be unlikely, despite Tate's commentary acknowledging the matter in the article. Consider that The Warning was the band's first album with EMI, they were over budget on the project, and they worked with a legendary producer in Guthrie. In addition, the article never mentions the revised track order of the album, which was, allegedly, done by the label. So, while the band certainly could have requested the remix themselves, I think its more likely that it was label-driven, and Queensryche were told by EMI not to "rock the boat" in the press if asked about the issue.